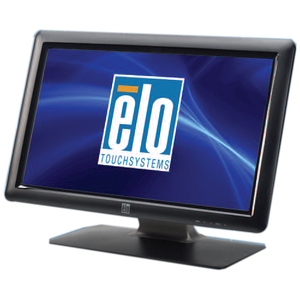 The Elo TouchSystems 2201L 22" Touchscreen LCD monitor offers a flexible, space-saving design, with an HD wide-aspect ratio. Well-suited to meet durability as well as aesthetic requirements for front-of-store, back office, kiosk and even out-of-store applications, the Elo TouchSystems 2201L offers real versatility for a variety of retail and hospitality interactive solutions. Available with Intellitouch plus multi-touch surface acoustic wave touchscreen technology, the 2201L provides stable "drift-free" operation with outstanding image clarity, resolution, and light transmission, for an accurate touch response and vivid images! Product Description: Elo 2201L, LCD display, TFT, 22"